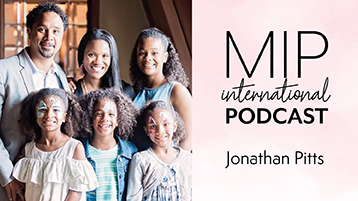 “For Girls Like You is going to go on.” Jonathan Pitts has prayerfully stepped into the ministry that his wife founded, ministering and discipling girls in a fun-filled Christ centered way. Today Lee and Jonathan talk about God’s providence in leading his family in a story that only He could write. 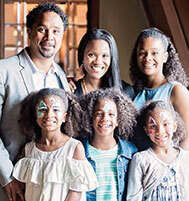 From the beginning of the ministry through his wife, Wynter, the beginning of a magazine for tweens, books, the acting career of the daughter, to the calling of his wife home to heaven six months ago, Jonathan sees the leading and faithfulness of the Lord. This one is a must listen. 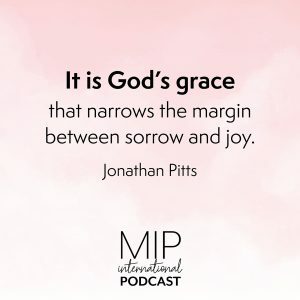 Jonathan Pitts is an author, speaker, and executive pastor at Church of the City in Franklin, TN. Prior to pastoring, Jonathan was executive director at The Urban Alternative, the national ministry of Dr. Tony Evans in Dallas, Texas. Jonathan lives in Franklin, Tennessee with his four daughters. Jonathan now serves as the President of For Girls Like You Ministries, a ministry founded by his late wife, Wynter Pitts. For Girls Like You is a ministry to young girls and their parents, that also includes a bi-monthly print magazine, journal, and other print and web resources. Their passion and drive is to introduce young girls to Christian values in a way that they are able to palate and digest, so they can walk passionately and boldly in who God has created them to be. There is a need for teachings like.I’m sometimes so frustrated with my 15 year old.